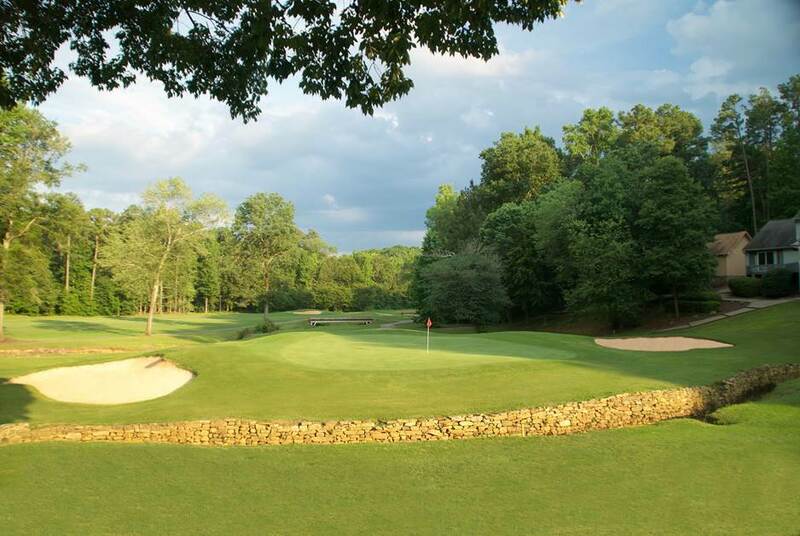 The second eighteen at this North Carolina private golf community is the Creek Course, which opened for play in 1979. 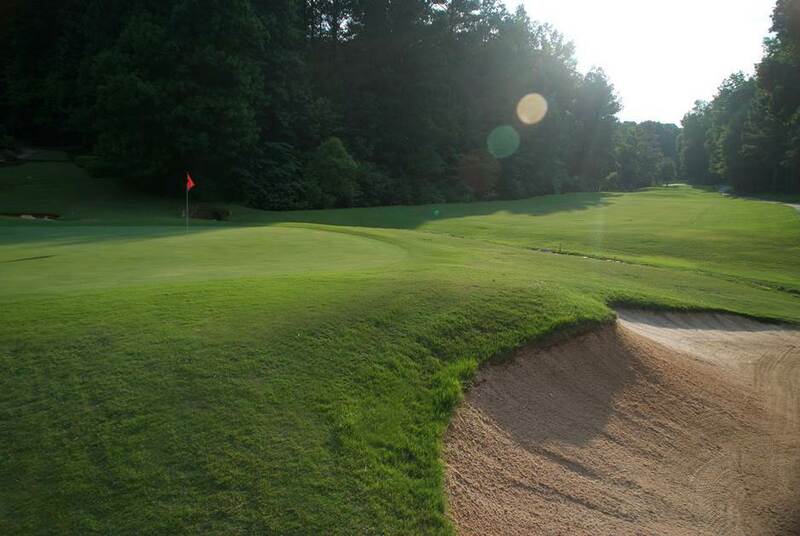 The Creek Course features dramatic elevation changes, rolling terrain, and a meandering creek interspersed among the 18 holes. The narrow fairways are Bermuda grass with the greens featuring Crenshaw Bent grass. 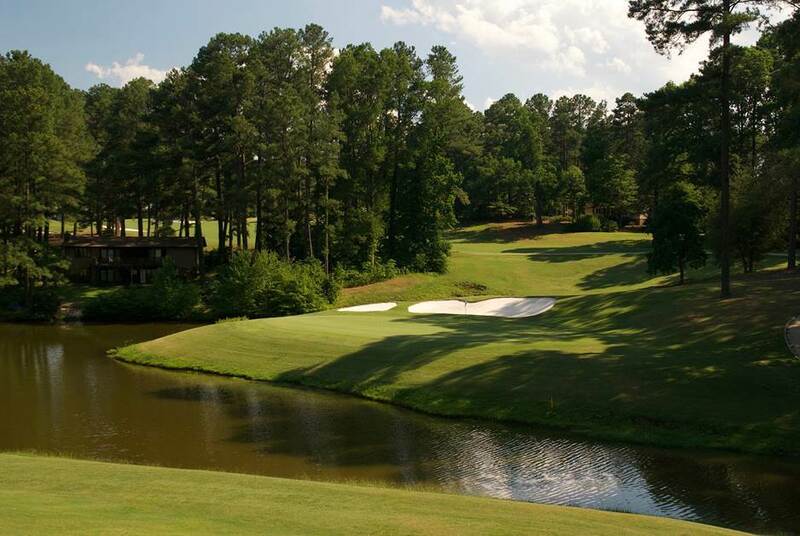 The Creek Course winds through the beautiful community of Carolina Trace with many shot-making challenges, coupled with an enjoyable golfing experience. 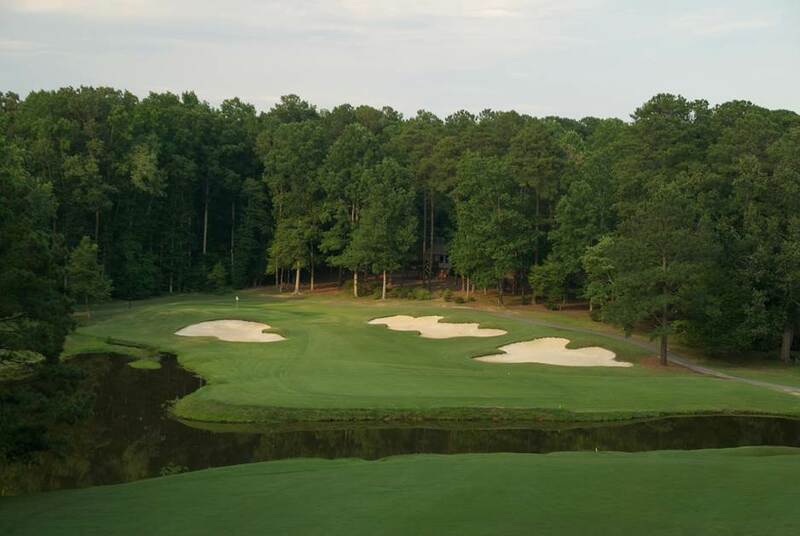 As with the Lake Course, each hole on Creek provides five sets of tees, Black, Blue, White, Gold, and Red, allowing players of all calibers, from the highly skilled to those just getting started, to choose the degree of difficulty they would like to play. The Black tees are sloped 133 and the Red tees at 121.
Notable holes on the Creek Course are the 3rd, 4th, 15th and 16th holes, which require careful navigation of the streams and ponds, while the 18th green sits at one of the most dramatic junctures on the property - a slice of land surrounded by three sides of water. Unlike the Lake Course, which is more forgiving off the tee and around the green, the Creek Course is tougher around the greens, making getting up and down more of a challenge. With its changing elevations, Creek can feel more like a mountain course in places, adding to the diversity of the Carolina Trace golf community.